What Makes Vinyl Siding a Good Choice? Is the paint peeling on your home? Or is your wood or fiberglass siding starting to show signs of wear? Before you start scraping and getting on the ladder, or getting quotes from housepainters, you should consider vinyl siding. There are several benefits to vinyl that make it a smart choice. Vinyl is mostly composed of plastic, which makes it more durable than hardie plank (fiberglass) or clapboard (wood) siding. While vinyl siding is the most expensive of the three, it pays off quickly as you can expect it to last at least five years. Vinyl siding will start saving you money in the short term as well, because it is insulated to keep heat in. It contains heat inside your home, which means your furnace won’t have to work as hard to keep temperatures up. This will keep your heating bill down! This is a benefit you might not expect from vinyl siding, but it’s certainly a plus! Because of the density of insulated vinyl siding, it helps keep sound from penetrating the outside walls of your home. This is a huge advantage if you live on a high-traffic street or busy neighborhood. A nice by-product of vinyl siding keeping heat in is that, in doing so, it will make your home more energy efficient. Less heat (or cool air, in the summer) will escape out, which not only helps your electric bill, but is also good for the environment! 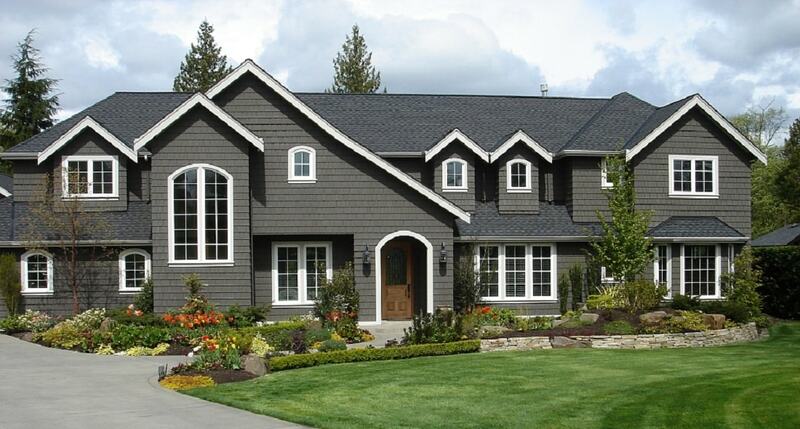 The advantages of vinyl siding speak for themselves. If you want a long lasting, strong, energy and heat efficient material that looks great and buffers noise, vinyl is your best siding option. Spend a little more to outfit your house with vinyl siding, and the dividends will start paying off almost immediately.